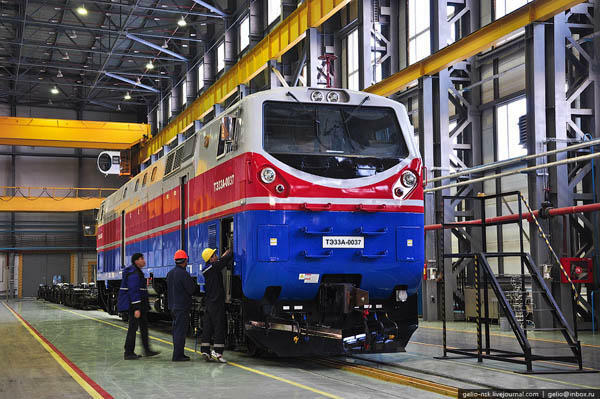 Ukraine plans to purchase diesel locomotives of manufactured in Kazakhstan, the press service of "Kazakhstan Temir Zholy" Railway Company reported. The message of the company says the Ukrainian Railways expect to receive a batch of locomotives of the TE33AC series by the end of 2018 within implementation of the initial phase of the framework agreement with the "General Electric" company. "Our Ukrainian colleagues are interested in our experience in the area of manufacturing and operation of diesel locomotives of GE Company. We, for our part, tried to tell about our achievements and principles of work", said Marat Shakenov, Vice-president on operating activities of “KTZ – freight transportation” JSC Company. The vice-president also noted that, Kazakhstan's railway workers are ready for long-term cooperation and exchange of experience in the professional sphere with the railway administrations of the partner countries.